Using VisLog, the user will be able to enter borehole information including the stratigraphy, coordinates, ground water level, etc. 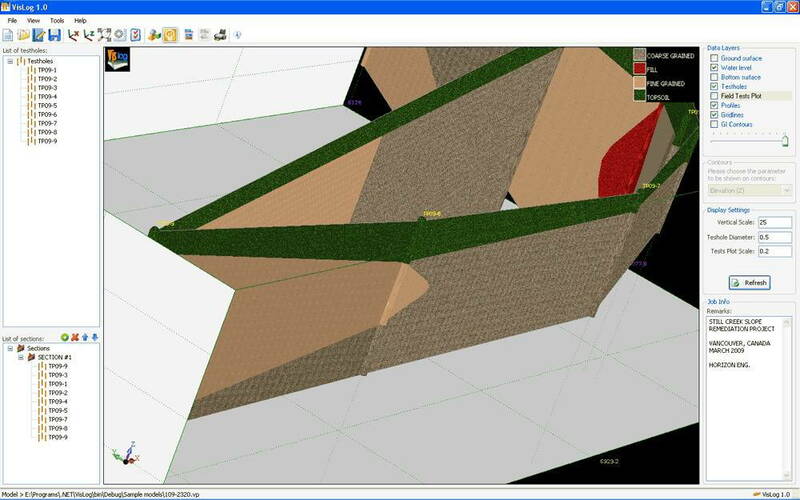 and generate a three dimensional interactive view of the subsurface layers. The ultimate aim of VisLog is to help users with making an the soil profiles to better understand the existing subsurface condition at the subject site. Input data can be taken from gINT, the most widely used borehole log software in the world. 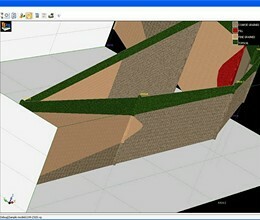 Also user could enter data using the internal test-hole editor. When the model is built upon the borehole information provided by user, the 3-dimensional model can rotate, zoom in/out, print and even saved as graphic formats, video and Google Earth model. * VisLog download link provides trial version of the software. VisLog has been rated 3.5 out of 5 points. A total of 4 votes cast and 0 users reviewed the software.